Not gonna lie, I'll probably be one of the crazy shoppers lined up at 5 am on Friday, March 1st to get my hands on Nigerian designer Duro Olowu's collection for JCPenney. 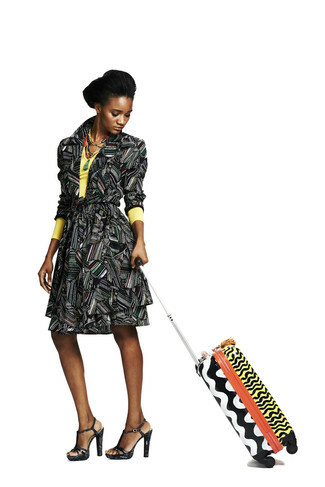 From housewares to clothing and accessories, Olowu's use of print is bold, bright and inspiring. And even better yet, since the collaboration is with JCPenney, it's also affordable... Bon Vivant and a Budget approved! See the rest of the looks here before they hit JCP stores. Are you looking forward to any upcoming designer collaborations? Leave your comments below. I can't wait! I love living in a fairly fashion-unconscious area :D I'll be there after work! I can hardly wait myself!